$70 (1/96 scale) Prices for other scales are proportional. 1/96 - Other scales are available. 60-pound stock paper, with all details printed on. Provided on CD-ROM in PDF format. Includes reference photos of the Crawlers. White glue, carpenter’s glue, paints to touch up fold lines. Numerous NASA and private sector collections of Apollo photographs. The printed parts are “art-like.” They quality of the build is totally up to the builder. The detail level for a “paper model” is incredible. The quality of fitment is totally up to the builder. While not “brain-surgury,” it is not a model for the impatient, or the novice. 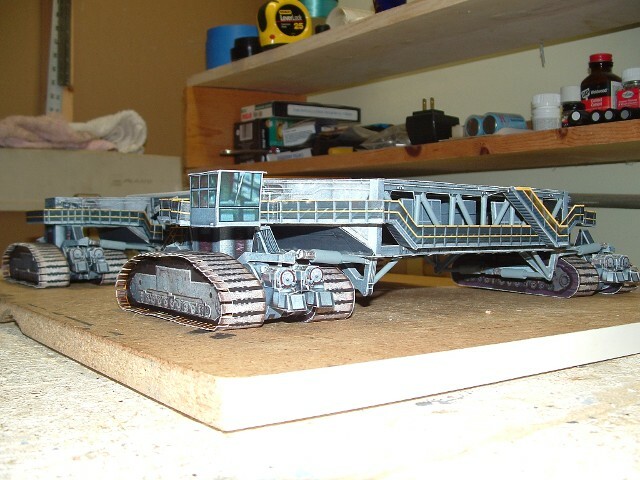 If you have any experience with small part detail work, the model is completely do-able. The instructions are your friend. Trust them. Only in specific areas did I vary from them, as explained in the article. A great companion to the Apollo LUT model. I had just finished building the 1/96 scale Apollo LUT, and thought we were done “driving down memory lane” for a while - turned out to be wrong. 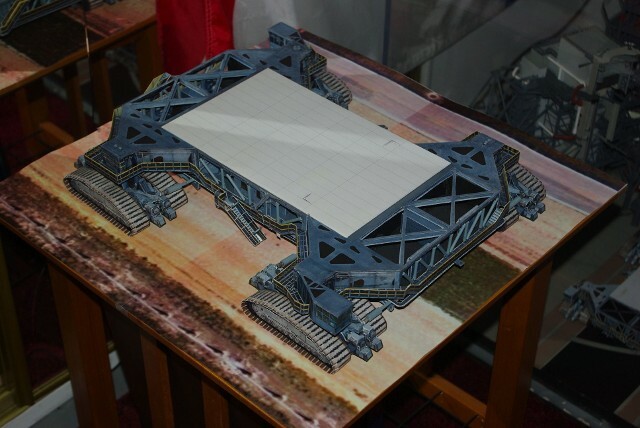 David posted an eBay listing for a model of the NASA Crawler-Transporter (C-T), the giant track-driven machine that moves spacecraft from the Vehicle Assembly Building to the pads of Complex 39. 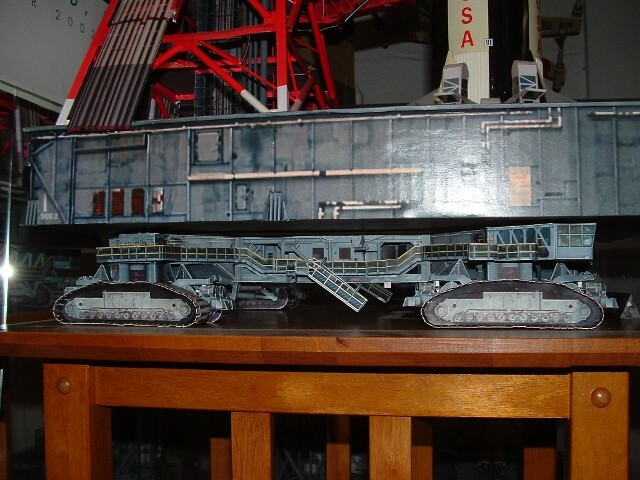 In this case, the Crawler was intended to look like it did during the Apollo Program. And, since it could be acquired in the same scale as my brand-new LUT model, what else could I do? I ordered one!! 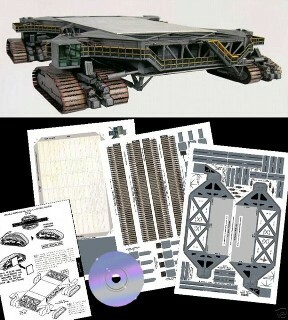 The C-T starts out like all of David’s kits – as a collection of heavy paper sheets, pre-printed with part details on them and a CD-ROM containing the instructions along with a collection of color reference photos of the actual vehicle in action. For those of us who have been to Kennedy Space Center (more than once), The C-T is “an old friend,” who you get to see just about every time you take the Complex 39 tour. I had long searched for a model of the C-T that was accessible – both in availability and in cost. Now, I found it. 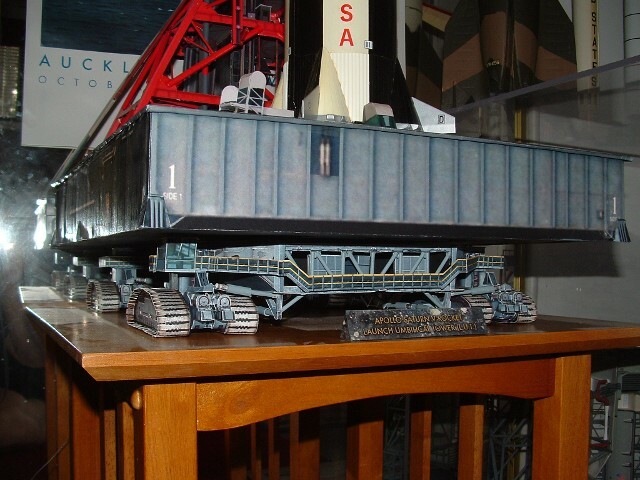 After completion, the Crawler assumed its rightful place – carrying the LUT with the Saturn V out to the launch pad. It’s still quite a sight to have this sitting in my display room. I used to tell people that the room was my own “shrunken down” Air & Space Museum. 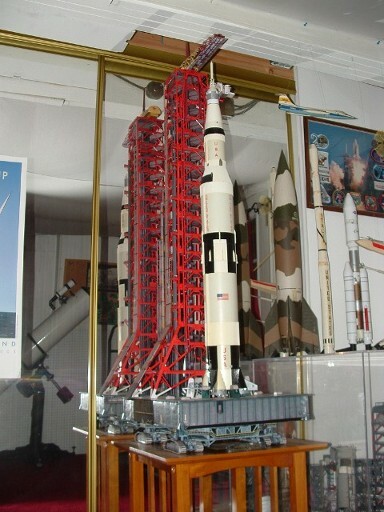 The Smithsonian A&S gallery on the Washington Mall has a high-fidelity scale model of the Crawler/LUT/Saturn combination on display, as part of its Project Apollo display. With this pair of Edu-Craft kits, you can too. That’s something I never thought I could say. Many thanks to David Maier of EduCraft for producing and providing these great kits. 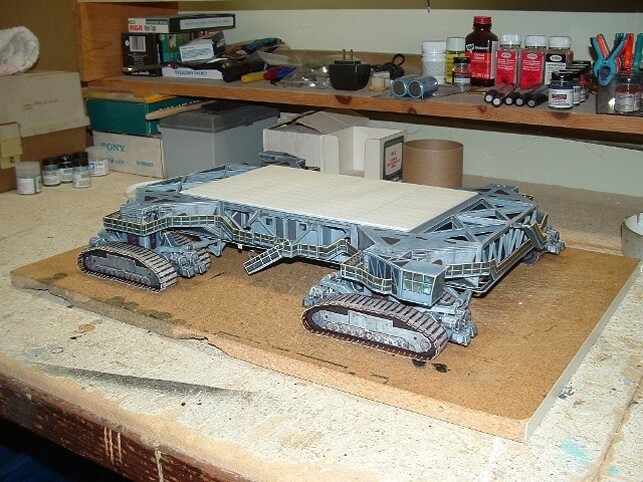 For more detailed photos of the construction of this model, Click Here to go to the Shutterfly ShareSite page.